The Quick-Cog TM is a high-performance, quick change, modular cog system for single speeds. Two-piece design allows the cog to be replaced without disassembling the hub cassette making it fast and easy to change gearing. The mating interface features a precision machined custom involute spline which transfers torque over a large surface area for maximum strength and durability. Introducing the SS-88, a high-performance single speed rear hub. Designed to survive the extreme demands of single speed climbing and trials riding with ease. Light-weight and bullet-proof. We also have a matching front hub built for the same punishment. Easy to use, light-weight wrench that fits neatly in your tool box. 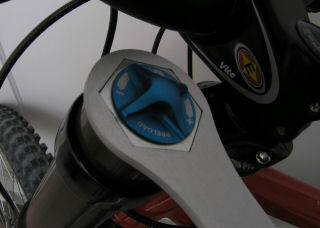 The hex end is sized for a nice snug fit that will never round off the hex cap. Precision laser cut from heat-treated aluminum and anodized for long lasting durability. Lightweight, high strength 20 tooth chain rings with 64mm bolt circle. Ultra low climbing gear, great for 29ers. Precision CNC machined from heat-treated 7075 aircraft aluminum. Two widths available for single speed and 8-9-speed. 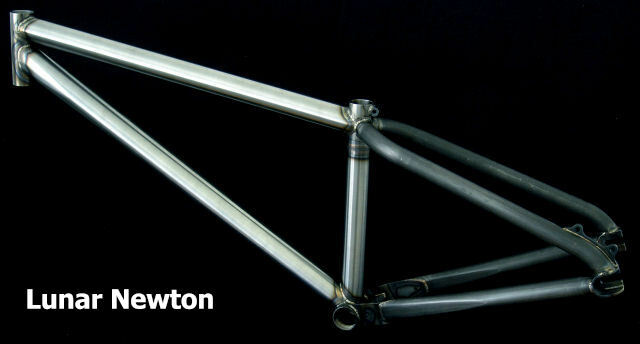 The Lunar Newton is our strongest, stiffest, high-performance dirt jump frame.